You’ve spent a lifetime building your assets. At the time of your death, you don’t want to add to your loved ones’ grief by leaving them with a confused and uncertain succession to those things that you greatly valued. We can assist in planning for that orderly transfer, mitigate tax consequences, and assist your heirs at a time when they need it the most. We have years of experience in navigating a variety of cost-effective ways in which to manage your succession. If you die without a will in Arizona, the state of Arizona will write one for you. The state will decide which relatives inherit your home and possessions, even distant relatives in distant states. If you have no relatives, the state will keep all your property. Many people think they can save money by writing a will themselves or using a kit they buy from a big box store. Their heirs usually run into all kinds of problems, however, with these homemade wills. Often, homemade wills are not signed and witnessed properly, and that alone that make them invalid and useless, which means the state of Arizona gets to decide who gets what. If you create confusion over who in your family inherits which possessions and which family member is the executor of your will, you can also create family feuding that lasts for generations. Homemade wills also cost families great sums of money because they do not use legal means of avoiding taxes and a lengthy probate process. The attorneys at Freeman & St. Clair will walk you through this complex process and devise a will and/or estate plan entirely individualized to your situation. You alone decide what each of your loved ones inherit. You can even include special provisions and guardians for children, incapacitated heirs, and those who need to receive their inheritance gradually or at a later date because they are spendthrifts or temporarily impaired due to addictions. When you create your will, you can also create a durable power of attorney and a “Living Will” for medical purposes. You can make important decisions about your end-of-life care now, and not when you are in stressful circumstances. Whether yours is a simple will or a complicated estate plan with a trust, your attorney at Freeman and St. Clair will guide you in a professional and caring manner. The cost is often less than you think, but the peace of mind you gain will be priceless. 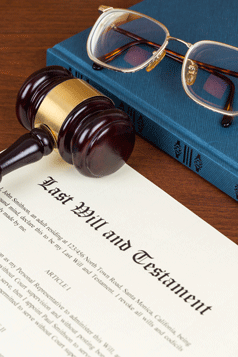 A will is a legal document that goes into effect when you die. A trust is an estate plan that goes into effect the minute you sign it. A will can be a part of trust/estate plan. Your will contains your directions as to who receives your property when you die. Your will covers only property that you own yourself, and not property that you own in joint tenancy with your spouse or someone else. You can name certain people to receive certain things, for example, you can leave your car to a favorite nephew or a certain painting to a certain child. When you write your will, you name someone, called your executor, who carries out the provisions of your will after you die. If you have children under age 18, you can appoint a guardian for them in your will. In Arizona the surviving spouse has the right of custody for minor children when the other spouse dies, so if this is something you do not want, you have to plan ahead through your will. You can also plan ahead for considerations, such as if you want your children to live together. You can also leave directions for your funeral arrangements in your will, such as if you want your ashes scattered in a certain place, and so forth. Most people execute “Living Wills” and “Durable Powers of Attorney” documents when they create their last wills and testaments. A Living Will has nothing to do with property. This document contains your directions to medical professionals about your end-of-life care or any medical care you need if you become too sick to make such decisions. It is sometimes called “an advance medical directive,” because you are making decisions about your healthcare in advance of the situation. You decide things like whether you want to prolong your life by every medical means possible, whether you want to be an organ donor, and so forth. It is always a good idea to have a Living Will in place, not just for the time of death, but for emergency situations, such as car accidents, strokes and heart attacks. You keep a signed copy of your Living Will at the offices of Freeman and St. Clair as well as a copy with your important documents at home. This is a document that names someone you trust to take over your affairs if you become too sick to manage them yourself. You can name a durable power of attorney for health care as the person who can make medical decisions for you, and your financial power of attorney for money matters. The financial person can handle matters such as writing checks for your bills, filling out your tax returns, depositing Social Security checks, and so forth. What kinds of property cannot be distributed through an ordinary will? If you own real estate in joint tenancy with someone else, that property goes to that person when you die. Insurance policies goes to the beneficiary named in the policy. Arizona also has special rules about the inheriting and taxing of retirement accounts, such as IRAs and 401ks. If you have substantial holdings in these kinds of property, your Freeman & St. Clair attorney may advise you to create a trust. How many appointments does it take to finish a will? In general, you will come to the law offices of Freeman & St. Clair two times for a simple will. During your first meeting, you will discuss what you want to be included in your will. During your second appointment, you will be signing the will in front of witnesses provided by the firm. Does my spouse have to make his or her will at the same time I do? The vast majority of married couples create and execute their wills at the same time. Probate Court is a legal process to collect and then transfer property. It is a three-step process that can take a year or more. The first step is appointing an executor; the second is collecting and transferring assets to the estate, and the third is closing the estate. Will my estate have to go through probate court if I don’t have a trust? Small estates do not have to go through probate court and use a simplified process instead. Arizona law defines a small estate as containing $100,000 or less in real estate property plus $75,000 or less in personal property. Yes. Most attorneys, including those at Freeman & St. Clair, think of a will as a temporary arrangement subject to change throughout the person’s lifetime. A trust is a legal arrangement for the transfer of property and assets. 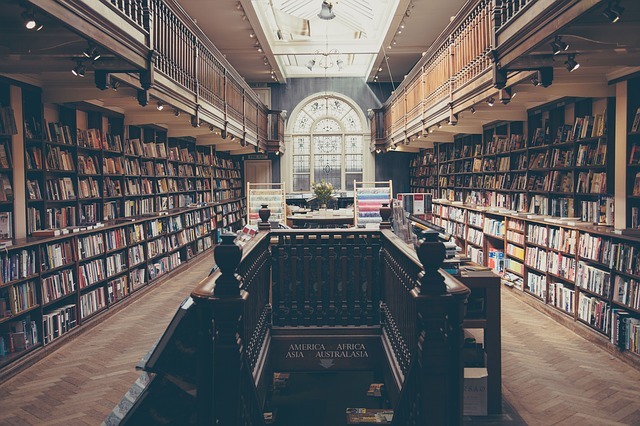 Many people benefit from having a lawyer make up both a will and a trust for their estate as a way to save money on taxes, protect the estate from certain creditors, avoid probate court proceedings, and pass their assets more quickly to their heirs. A trust allows you to specify how and when your property gets passed to your heirs. A well-designed trust can pay for itself in the long run. A trust allows you to put all your assets into one place and to appoint a trustee in charge of it. Usually the initial trustee is the person who made the trust. If you set up your trust as a “living trust,” you and even your heirs can take money out of it before you die. A “testamentary trust” goes into effect after your death. Think of a trust as putting everything you own into one suitcase. It simplifies the estate process. An estate plan can include both a will and a trust. Not everyone needs to make a trust arrangement, but most people need a will. What are the two basic kinds of trusts? A revocable or living trust lets you control the assets in your trust during your lifetime but names a successor to manage the trust after your death. An irrevocable trust does not allow you to change the terms once you establish it. It has certain advantages over a revocable trust by reducing estate taxes. With a marital trust, the trust goes to the surviving spouse. A credit shelter or “bypass trust” helps you get federal estate tax exemptions for each spouse. An irrevocable life insurance trust excludes life insurance benefits from the taxable estate. A generation-skipping trust allows the assets in the trust to go to your grandchildren or even later generations without having to pay estate taxes after the deaths of your children. A charitable trust allows some of your estate to go to a charity, and the rest to your heirs. A charitable remainder trust lets you take a steady stream of income from your trust but leaves the rest to charity. You can set up special needs trusts for a disabled beneficiary. As you can see, it can be complicated to decide which trust is best for you and your family. The experienced attorneys at Freeman and St. Clair can explain the various options available to you and help you with this important decision. If I have a trust, does my estate have to go through probate court? No. It’s one of the ways a trust can save you money in the long run.